These Mother’s Day activities is in both English and Spanish. 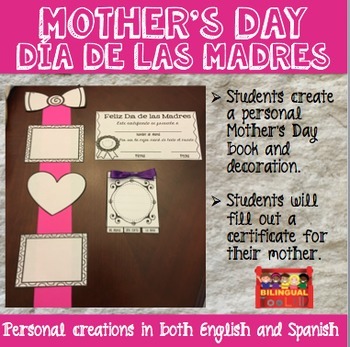 Students will enjoy designing a book, decoration and certificate for their mothers. Print the pages and have the students cut, glue, write, color and add a touch of ribbon (if you desire to add the ribbon) to create a special Mother’s Day keepsake.